← Laissez Les Bon Temps Rouler!! I would like to dedicate this week’s article to a remarkable person who has given so much to the Hominy community. Ramona Brown has worked with the “Hominy News Progress” since 1988 I believe, and I must say, I was drawn to Hominy because of the “News-Progress”. I had been an inactive but dues paying member of the American Legion in Skiatook. One day I picked up a copy of the “News-Progress” and read the “News from the HUT” written by my old friend Roy Arian. I was completely captivated by his stories and writing style. I read the rest of the paper and was so impressed by the local flavor and love of God so easily expressed. Then I began to visit the American Legion Post 142 (“The Hut”) and spend more time in Hominy. I discovered a treasure. Ramona, you may have retired, but yours is a legacy that will last. Commander “Doc” presided over the Post elections last Thursday meeting and we are pleased that the old crew was willing to stay in place for another tour of duty (despite the old adage in the military “never volunteer for anything”). In this case, most were volunteered but no one complained. Here are the results. Post Commander Charles O’Leary, 1st Vice Commander Steve Swinford, 2nd Vice Commander, Babe Long, Adjutant, Eli Prater, Service Officer, Babo carter, Sgt at Arms, Jim Hale, Historian “me”, Finance Officer extraordinaire, Jack Cross, Esteemed Chaplin, and Rex Mantooh. Additionally special honors to the extraordinary Breakfast Crew Jerry Sebert, Dan Rathbun, and Eli Prater. Currently, we are looking at a combined Auxiliary and Post Pork Rib Cookout 17th of May at 1800 hrs (Thanks Dan!). For those Army Guard 45th guys big hand on the 12 little hand on the 6 (Revenge is sweet Jerry). Family members of the entire crew may attend. 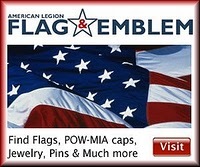 If you are a Veteran looking for some fellowship from those who have been there and done that since WWII come join us. The “Medal of Honor Day” happened last week and the guest of honor was SFC Melvin Morris, USA [Ret] a former Special Forces [E-7] from the Vietnam War (two tours). While I don’t have much to comment on our current Commander in Chief I will say his effort to pull up long overdue recognition of folks how were in the system for being honored with the MOH was commendable. Most if not all were minorities. Melvin was one of those. At 72 years old, he wears a medal that as an enlisted man officers, even generals must submit a salute. Our ‘Hut’ was represented proudly on a hot day by Doc and Steve, way to go guys. There is so much to share like Mike Street’s contribution to us, the HVAC coming in but we have limited space, more next week! Our regular meetings are the first and third Thursday (15 May) meeting at 1900 hrs. Monday morning Koffee Klatch meetings for May are still up and running starting around 0700 till about 0900 if weather cooperating. Dan, Eli, and Jerry usually have things set up where we can catch up on each others mischief and story telling. If you are a veteran come on by. If you have a good story it may end up in print!